There are a number of great destinations that require a trip up the Cape Cod Canal; Onset, Sandwich, Plymouth, Barnstable, and Provincetown. In fact, I find the canal itself to be a destination on certain days. My Garmin Autoroute does an excellent job of steering a perfect course around the graceful bends approaching the bridges, it’s almost always calm, and the 10 MPH speed limit makes it ideal for a cocktail cruise. 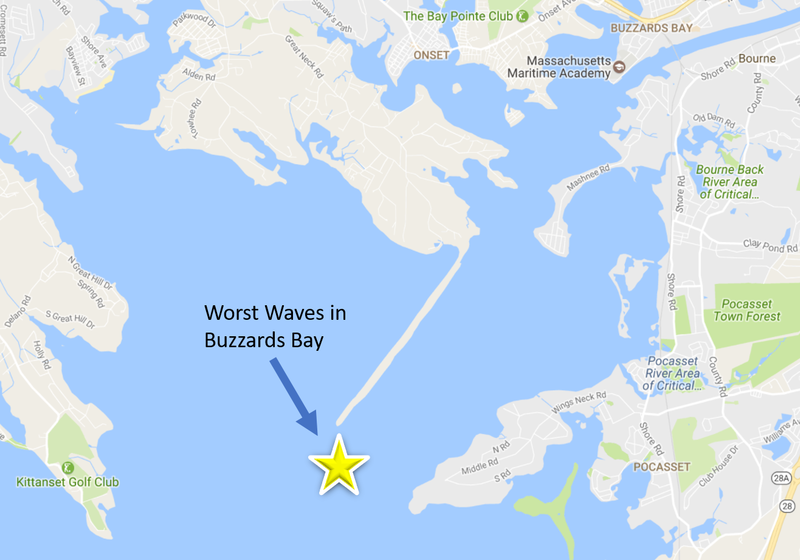 Ah, but there’s one problem; when you go up the canal, you must return to Buzzards Bay, typically in the afternoon, and that means facing the craziest wall of waves in Buzzards Bay as you leave Stony Point Dike to starboard. Much like Woods Hole, this is basically an ocean funnel, where millions of gallons regularly pour in and out of Buzzards Bay. Add in the prevailing afternoon southern wind blowing 20 MPH and you have a sort of Perfect Storm. Last year, I took my brother Mark and a few of his buddies to the Pilot House to celebrate his birthday. These are all guys we grew up with jumping waves on our old Thunderbird Ute and I knew they’d get a kick out of seeing how our Back Cove 37 would handle these monster waves. 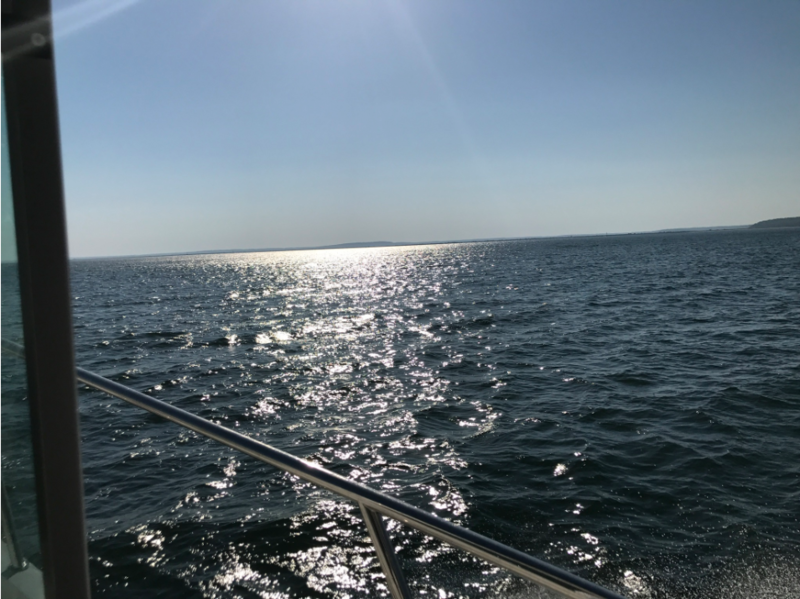 Mark had his smartphone video camera going and as you can see in the brief movie, as we hit the final monster, our 14 ton forty foot boat points straight up into the sky before crashing into the sea. Mark’s Birthday Wave from Dave Horne on Vimeo. I wasn’t really sure how big that wave was, but I know it’s 8′ from the water to the deck on Tenacity, so I’m guessing at least 12 feet! 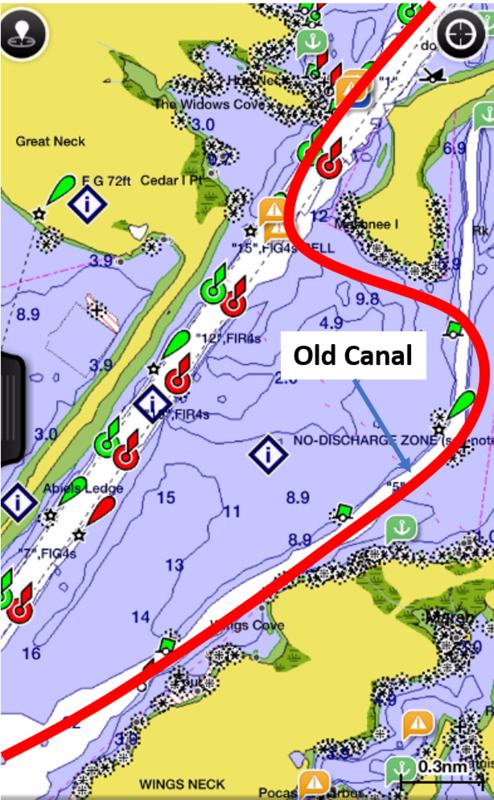 We all had a good thrill and that’s exactly what I was looking for, but if I had had a different crew, particularly a weak kneed land lubber on board, I would invoked my new go-too option – The Old Canal. First of all, I’m not even sure it actually ever was “the canal,” but that’s what the locals call it. I do know it’s a very effective way of avoiding that dreaded quarter mile where the Cape Cod Canal and Buzzards Bay meet. All you do is bang a left after you pass clear of Hog Island, right past the entrance to Onset. There is plenty of water as long as you watch your chart and depth sounder. You need to stay relatively close to shore and look for the green can and day marker mounted on the concrete piling. There is some pretty shallow water if you cut to the right of the can and day marker, so hold your line. Once you pass the day marker, you also have to hug the coast of Cape Cod heading up toward Wings Neck. After you get abaft abeam of Wings Neck, make way to the left of Bird Island. 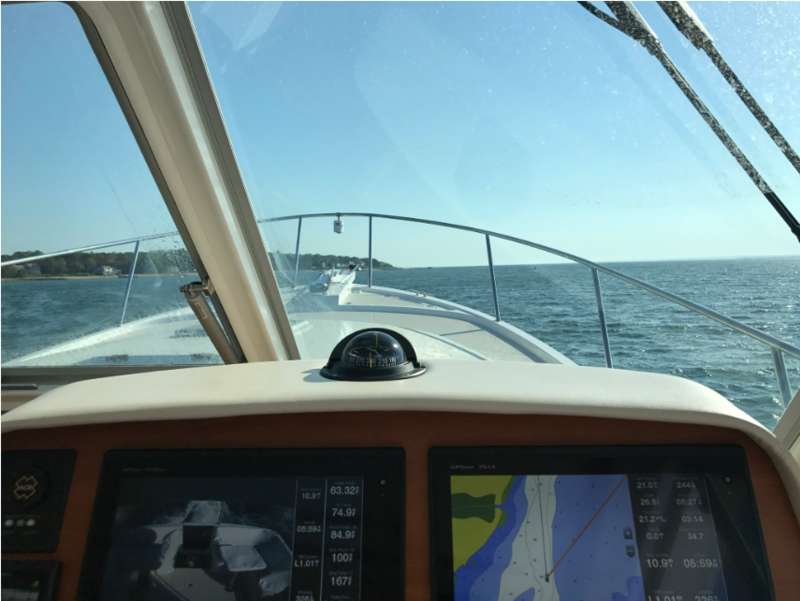 Not only will you avoid the dreaded monster waves at the mouth of the canal, but you’ll also be heading straight into the typical Southwest Buzzards Bay chop. I always prefer to take the chop head on, it seems to make the waves easier to handle. Very interesting – brings back memories of our many trips across the bay to the Chart Room and our rough ride home.